Promotion of Abortion in Uganda. As I read Caroline Ariba’s article on Abortion, I couldn’t help but see data from Guttmacher Institute thrown around to rationalize why Uganda would be better off legalizing abortion. May be if Ms. Ariba had bothered to do a fair simple balanced research, she would have also provided us with some background information such as how legalized abortion came about and the formation of Guttmacher Institute. And who is Guttmacher “the father of birth control in the United States”? Guttmacher, the same man who worked as the vice president of the American Eugenics Society. Winning family of a Fitter Family contest stand outside of the Eugenics Building (where contestants register) at the Kansas Free Fair, in Topeka, KS. 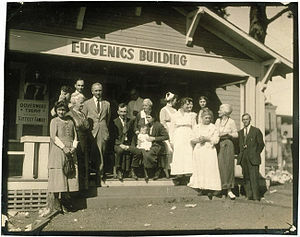 The “AMERICAN EUGENICS SOCIETY“, check it out. 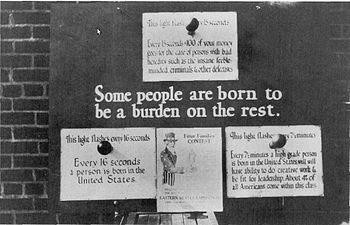 The Price of American Eugenics. -Parents’ opinions of mandatory Human Papillomavirus (HPV) vaccination: does ethnicity matter?